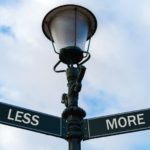 Home / Blog / Do You Need More or Fewer Customers? On a regular basis, I speak with general managers, owners of boatyards, and boat builders in North America and beyond concerning approaches to growing their business. Nine times out of ten the first thing said is “In order to grow our business, we need more customers.” To some extent this is a true statement; however, I have a few points that I always consider before seeking additional customers. Increasing the customer base means additional employee costs and possibly significant incremental investments in the form of buildings, machinery, and inventory. Passing increased hourly rates and material costs to the customer may result in losing customers to lower cost competition. Reducing costs may not reap any true benefits unless your workforce is either under capacity, grossly inefficient, or your business is lacking effective control of parts leaving the stockroom. Additional customers could drive up inefficiencies: Consider how efficient your business is today. What was your realized billable rate last year? What percentage of total available hours were billed last year? What was your realized margin on materials and parts by category? How efficient is your overall workforce by department and individuals? Answering these types of questions before increasing capacity to your workload are important considerations. The “A” List: Customers that pay bills on time, have complete trust in your capabilities and just want the job done properly and on time. The “B” List: Similar to the “A” List but always want estimates, will ask you to cut corners at times to save money, scrutinize most invoices and pay irregularly. The “C” List: These customers are the most difficult to manage. They want estimates, question every invoice, and you are constantly pursuing them for unpaid services. As a GM, I really focused on these particular customers because I knew I could either change their behavior by building a strong relationship with them or encourage them to look elsewhere to obtain the work performed on their boat. In other words, you might want to consider terminating your customers on the “C” List. I performed this somewhat unsavory task at one facility and within a year these actions resulted in significant financial returns. Become more efficient: Become more effective at what you are achieving with your existing customers. Establish documented processes and procedures at every level of your business. Ask yourself these questions: What are your estimating, invoicing, purchasing, receiving, parts check out, and labor tracking processes? What are your performance metrics? Having every key process documented and performance metrics established will improve the business bottom line. Add additional services: Once you are confident your divisions and/or departments have achieved optimal efficiency, begin adding new services and products. LISTEN TO YOUR CUSTOMERS! Inquire what additional services they would like to experience. You will be pleasantly surprised by the answers or suggestions generated by your discussions with your customers. If you are confident you have achieved all of the above; then you are better positioned to consider growing your business by adding new customers. Interview new customers as if you are hiring a new employee or tenant. Select “A” and “B” list customers only. Inform the customer prospects how you intend to do business with them and take care for their boat as if it was your own so they can compare your service offerings to others they might be looking into as well. Make them aware that you do not engage “Just Any Customer.” New prospects, especially the potential “A” List, will sincerely appreciate your ability to be selective and effectively organized. The result will be a long-term customer as long as you follow through with your service offerings.